Blow up the party with this cheap and easy-to-make costume. For under $30, you will be sure to make a pop at any Halloween event. 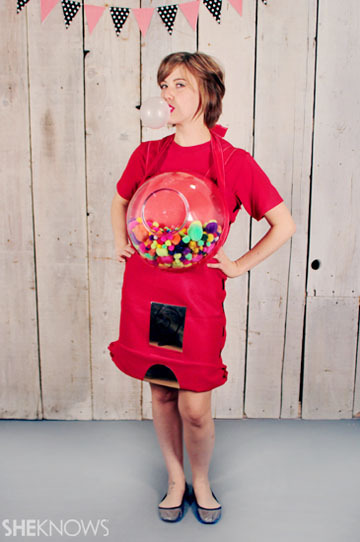 This sweet homemade costume consists of easy-to-find materials and is easy to construct. Start out by laying the two pieces of felt next to each other, evenly. Then overlap the two pieces by an inch, and pin them together. Measure the yarn across the felt, and double the length. Then thread the needle, and tie a knot at the end of the yarn. Begin sewing the two pieces of felt together (make the stitches about an inch wide). After you have sewn one side, measure the felt around your body, and pin where the excess felt needs to be cut off. Make sure to leave enough room so you can move. Then overlap the felt by an inch, and pin again. Sew together, just like on the other side. 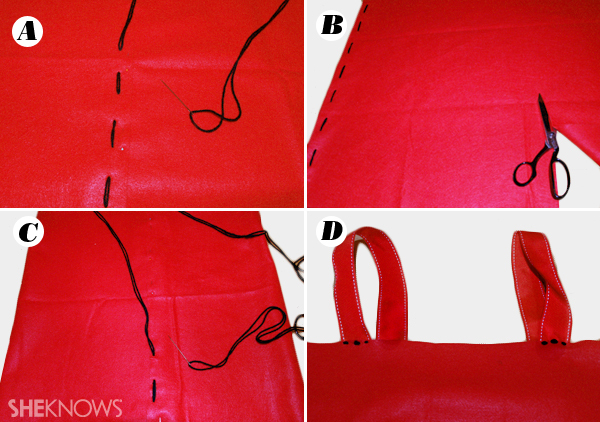 Throw on the parts of the costume you’ve made thus far, and measure out the length that the straps need to be. Also, measure where the straps need to be sewn on, and place a pin in that place. Then take the ribbon and cut it into two equal strips. Then sew the straps. Take the red poster board, and trace the clear serving bowl over it. Then cut out the circle from the poster board. 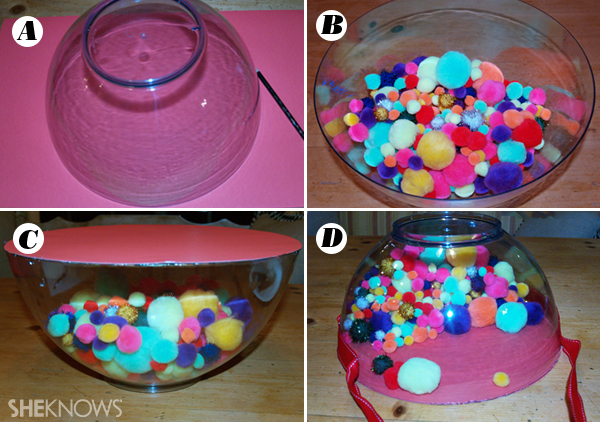 Stick the pom-poms in the bowl, and hot-glue the cut-out circle to the bowl. Measure the ribbon around the bowl, and double the length. Hot-glue the ribbon around the bottom half of the bowl (Do not hot-glue the ribbon to the top of the bowl). Take the silver paper, and cut a small rectangle and a half circle out of it. Then on the silver rectangle, draw a circle with the figure “5¢” in the center of it. Roll up the bottom of the felt, and then glue the half circle at the fold of the felt. Then glue the silver rectangle just above the fold of the felt. Now stand back and marvel at your new costume!